Prune one tree and fell one tree (Tree Preservation Order): Milner Royd House, West London Road, Norland. New door opening to East elevation (Listed Building Consent): 8 Dob Carr Lane, Sowerby, Sowerby Bridge. Two storey extension to side and rear and dormer to front and rear: 40 Newlands Grove, Northowram. Bay window extension to south elevation, and canopy and new entrance to north elevation: 150 Lightcliffe Road, Brighouse. Fell one tree (Tree Preservation Order): Land North Of 2 To 3 Upper Stubbins Sandy Dyke Lane, Triangle. Two storey side extension: 30 Caldene Avenue Mytholmroyd. Detached dwelling: Land South Of 37, Common Lane, Southowram. Four Industrial starter units: Mount Garage, New Bond Street, Halifax. Wheelchair access ramp to front elevation: Unit 2 To 5 Linden Works, Linden Road, Hebden Bridge. Removal of condition 1 (allow for a 24 hour operation of gymnasium) on application 15/01111/FUL: 19 Charles Street, Halifax. Single bay garage made from timber with a flat roof: 55 Briscoe Lane, Greetland. Carpark: Heath RUFC Stainland Road, Elland. 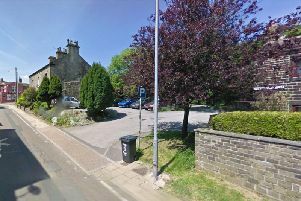 Change of building to three commercial units (use class B1 )(retrospective): Unit 2 Turkey Lodge, New Road, Cragg Vale. Extensions and remodelling of existing listed house and barn (Listed Building Consent): Latham Farm, Latham Lane, Wadsworth, Hebden Bridge. Indoor riding arena and storage building for agricultural use: Magson House Farm, Danny Lane, Luddenden Foot. New access: Ash Tree Farm, Wainstalls Road, Wainstalls. Replacement building to facilitate an ancillary residential holiday let use (C3 Dwellinghouse) (Part-retrospective): Ash Tree Farm, Wainstalls Road, Wainstalls. Use of building as holiday let (retrospective): Ash Tree Farm Wainstalls Road Wainstalls. Single storey extension to rear: 57 Victoria Avenue, Elland. Prune two trees (Tree Preservation Order): 7 The Sycamores, Wakefield Road, Lightcliffe. Dormer: 25 Park Place, West Lightcliffe. Two storey side and single storey rear and extension: 3 Kelvin Road, Elland. Single storey extension: 9 Kingsley Place, Halifax. Two-storey side extension (revised scheme to 14/00402/HSE): 12 Longstaff Court, Hebden Bridge.